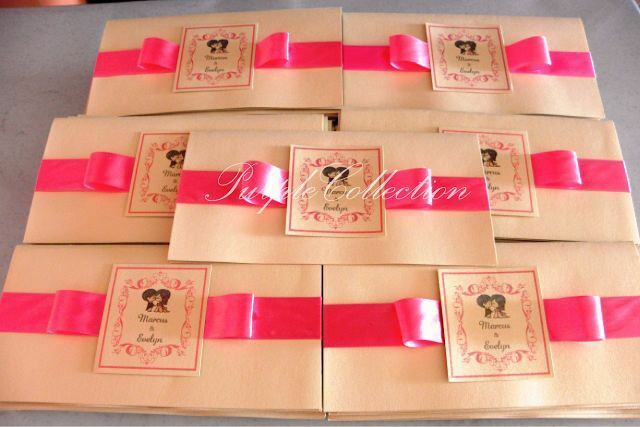 These wedding invitation cards were handmade for Evelyn & Marcus from Kuala Lumpur. It was a rush order for them. Thank you Evelyn & Marcus for the support! Supplies used: satin ribbon, inlay sheet, ivory gold card, double sided foam tape, paper glue. Interested in this wedding invitation card design? Feel free to contact us to check out the card's quotation.